We conduct low-level research continuously at the hospital. Much of it relates to treatment issues regarding choice of antibiotic, dressings, and other management tools. In tick season, much relates to the rearing of orphans and treatment of tick paralysis. Even our revegetation projects at the Tolga Scrub are subject to scrutiny. As a result our methods of intervention are steadily improving, and our approach to issues affecting bats and their habitat are changing. Money from Merial Pharmaceutical Company allowed Prof Rick Atwell from the University of Queensland to spend a week with us in November 2001. We established some baseline data on the clinical picture of Spectacled flying foxes with tick paralysis, and Rick published a paper ( Tick paper 2003) from this work. We were also lucky to have a PhD student of Rick’s with us for one week in 2003 tick season. We were lucky to have this clinical guidance in our beginning years. Each year we collect data on the incidence of tick paralysis, separating it into gender, status (dead, euthanased, live, survived), females with and without babies, babies found alone or on live/dead mothers etc Unfortunately the busier we get, the worse we get at keeping he data. However we have very accurate data on the age and forearm size of every orphan that came through the hospital over the last 12 years. We use this as an index for the incidence of tick paralysis as most of our pups are orphaned by tick paralysis affecting their mother. This data culminated in a published paper listed below, and another that will be published soon. 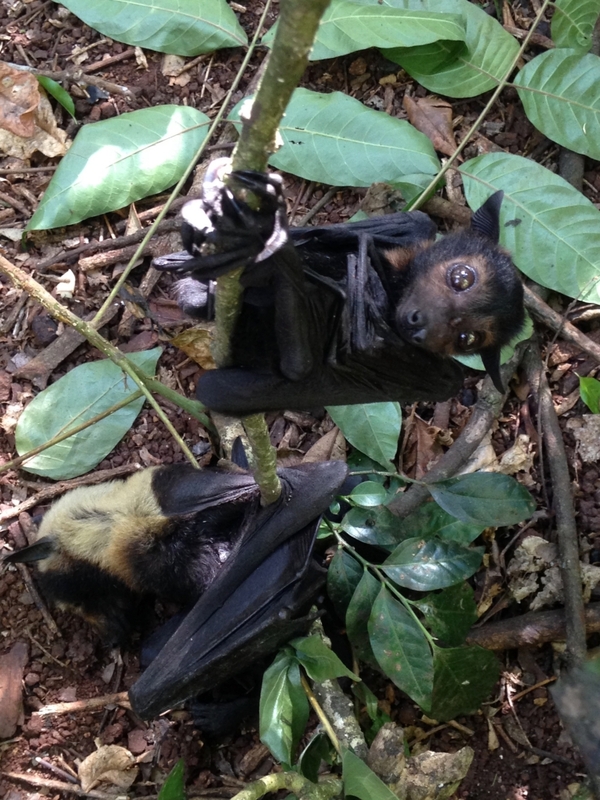 Tick paralysis in spectacled flying-foxes (Pteropus conspicillatus) on the Atherton Tableland: impact of a terrestrial ectoparasite finding a non-terrestrial host. Petra G Buettner1,7, David A Westcott2,3, Jennefer Mclean4, Lawrence Brown1, Adam McKeown2, Ashleigh Johnson4, Karen Wilson1, David Blair5, Jonathan Luly6, Lee Skerratt1, Reinhold Muller1,7, and Richard Speare1,7. 1School of Public Health, Tropical Medicine and Rehabilitation Sciences, James Cook University, Townsville, Australia; 2CSIRO Ecosystem Sciences, Atherton, Queensland, Australia; 3Centre for Tropical Environmental and Sustainability Science, School of Earth and Environmental Sciences and School of Marine and Tropical Biology, James Cook University, Cairns, Australia; 4Tolga Bat Hospital, Atherton, Australia; 5School of Marine and Tropical Biology, James Cook University, Townsville, Australia; 6School of Earth and Environmental Sciences, James Cook University, Townsville, Australia; 7Tropical Health Solutions Pty Ltd, Idalia, Townsville, Australia. This paper used data collected by the Bat Hospital over 12 years. The study has demonstrated that the paralysis tick, usually considered a terrestrial ectoparasite, is affecting large numbers of SFF, a non-terrestrial host, in only a portion of the host’s range. The numbers of SFF in the study area, and the numbers and rates of SFF affected, were highly variable reflecting the difficulty of obtaining accurate population counts for a species that is highly mobile. More adult females were affected than adult males, and importantly higher juvenile mortality rates were observed during drier years. All of the tick-affected SFF camps lay within the core range of wild tobacco, S. mauritianum. Further studies are needed to better understand if this introduced plant is the major risk factor for acquisition of paralysis tick by this vulnerable host species, and whether feasible strategies to decrease the impact of tick paralysis can be developed. Andrew Dennis, Jennefer Mclean, Ceinwen Edwards and Lisa Dwyer. CSIRO Sustainable Ecosystems and the Rainforest Cooperative Research Centre. 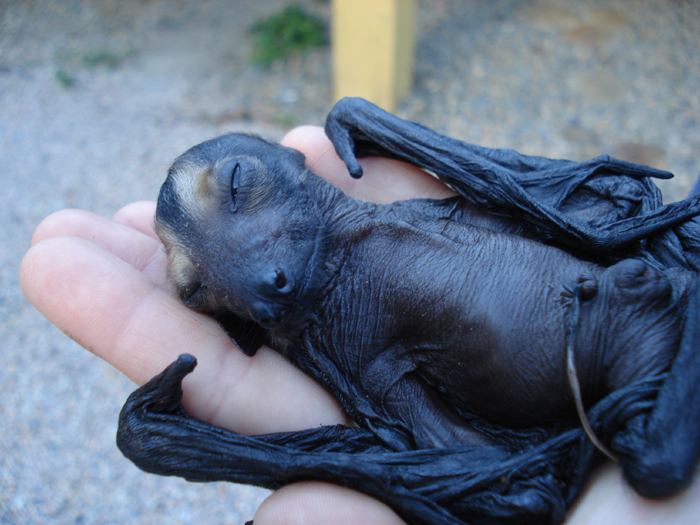 Spectacled Flying-foxes, Pteropus conspicillatus, on the Atherton Tableland have suffered high levels of mortality from envenomation by paralysis ticks, Ixodes holocyclus, since at least the early 1990’s. Bats carrying a single tick always die unless treated, suggesting they are not a natural host. 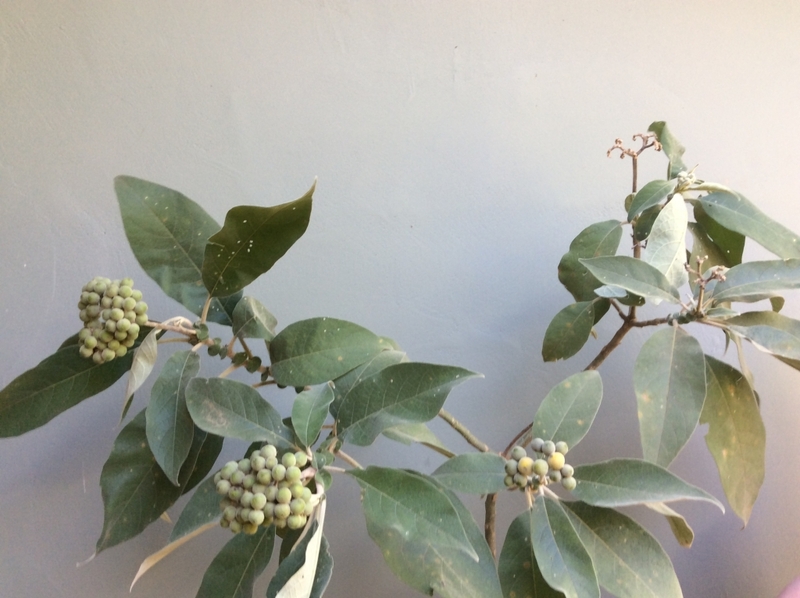 An hypothesis was developed early on that a change in foraging behaviour to include the fruit of an introduced weed (wild tobacco, Solanum mauritianum) may have brought the bats into contact with questing ticks. The hypothesis had never been adequately tested. This study used mortality and foraging data to design a sample regime to determine if paralysis ticks could infest flying foxes while they were foraging on tobacco bushes. A sample of 2360 mock bat foraging events on tobacco bushes resulted in the collection of 11 paralysis ticks up to 1.7m high. From our calculations based on infestation rates measured at a colony, we were expecting only one tick in each 2500 foraging events. The large number collected suggests two things: 1) spectacled flying-foxes do acquire ticks from tobacco bushes; and 2) mortality from paralysis ticks may be even greater than that measured at camps. Many bats may die and fall undetected away from camps. While wild tobacco may not be the only source of infestations, our results suggest that a campaign of tobacco bush eradication should significantly reduce mortality due to paralysis tick envenomation. 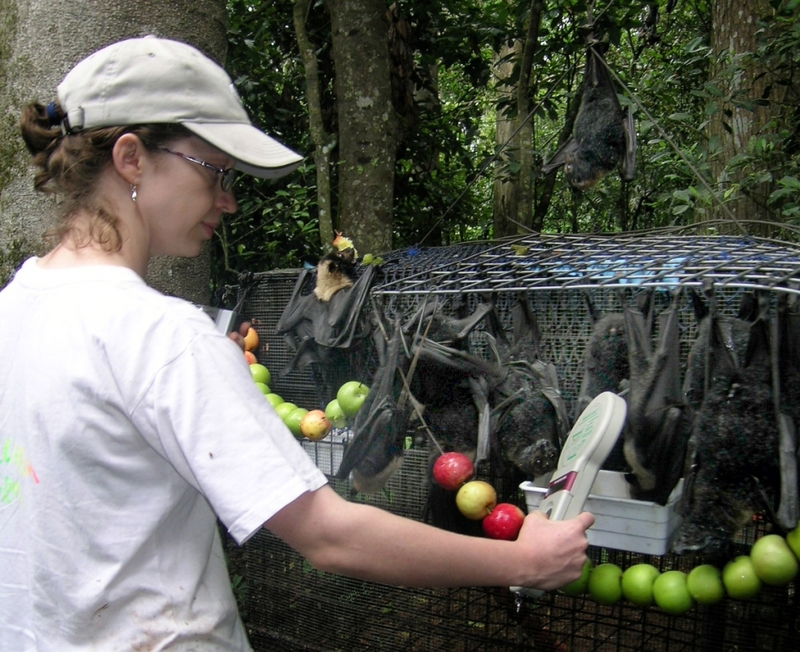 We began microchipping all Spectacled flying foxes released back to the wild in the December 2002. A donation from Wildlife Preservation Society of Queensland (proceeds from a Batty Boat Cruise) paid for the first batch of microchips . We were using bulk ISO chips. In subsequent years microchipping was possible through grants from WWF and the Synchronicity Foundation. We stopped microchipping in March 2006, when we needed monies for developing the Visitor Centre. By then we had chipped just under 1000 bats. Continuing to microchip and scan all SFFs admitted to the hospital would answer such questions as camp fidelity. Are pups born at Tolga more likely to return there at that time of year because they are more familiar with the feed trees? If there is camp fidelity, the high incidence of tick paralysis suggests the rate of return of microchipped individuals is likely to be much higher than for the general Australian flying fox population. Microchipping was a very useful tool for many activities of the hospital. All tick paralysis bats were chipped before they left the intensive care section of the hospital, allowing us to follow their progress and optimise their release date. Those who recover quickly could be released sooner than those who spend a long time in hospital. No other marking method was satisfactory. All babies were chipped when they left the indoor nursery, allowing us to distinguish between up to 500 individuals and monitor weight and growth gains. Microchipping also gave us very good feedback during the orphan release programs. We were able to scan orphans returning to the release cage, and found that 90% found their way back for support feeding. We also recorded orphans from previous years returning for a free feed. Although we have no idea what percentage of individuals survive their first year, we at least know that the release program works for some individuals. We scan all bats coming into the hospital. In 2003 tick season we had an orphan from the previous year come into the hospital with tick paralysis. It was great news to know she had survived her first year in the wild, and luckily survived the tick paralysis to be relased again. She was from the first group to be microchipped, and had a mother who died from tick paralysis. In 2005, we had an adult female with baby admitted to the hospital. She had been microchipped after surviving tick paralysis in 2003. She survived this second bout of tick paralysis too. Most years we get 1 or 2 abandoned pups with cleft palate syndrome. Some years we get many more than that. 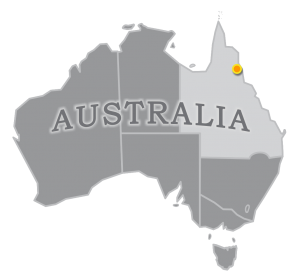 In 1998, there were 3 maternity colonies on the Atherton Tablelands. Cleft palate pups were found at all 3 but 21 of the 35 pups were found at Tolga, the smallest of the 3 colonies. In 2001 Tolga was the only maternity colony on the Tablelands (total population about 5000) and 45 were found. It is impossible to know the true incidence as many are scavenged, difficult to find, or dropped by their mothers while foraging for food at night. It is also difficult to know if the syndrome is occurring elswhere. No other bat rescue group has cause to be in a colony daily during birthing season, as we do with tick paralysis. Many colonies are also in areas difficult to access eg swamps. The syndrome usually includes a large midline defect that extends to the throat, missing or rudimentary thumb and toe claws, general low muscle tone and whiskery faces. The young present their mothers with difficulties in feeding as well as hanging on. Most are abandoned shortly after birth and so still have the cord attached, some even have the placenta. A few are found at 2-3 weeks of age, undernourished yet alive. Babies with the severe defect are euthanased as they cannot survive. The cleft palate syndrome bats often have associated abnormalities such as missing claws on thumbs or feet. 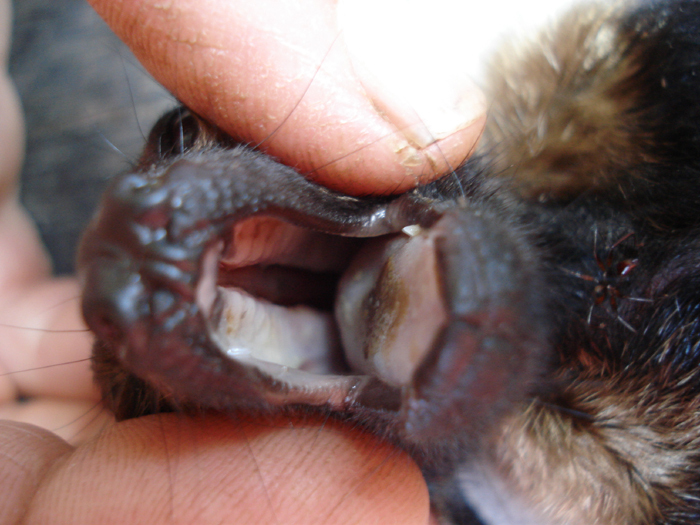 This bat had missing forearm bones as well as a cleft palate. In 2009, another big year for cleft palate syndrome, we had an orphan with a cleft palate come into care on Christmas Day weighing 180 gms. Her mother had successfully fed her for probably 2 months. Her defect did not involve the roof of the mouth, but began at the back of the throat. We have only had a few with this defect before. We were unable to feed her. We suspect the defect opened up as she grew and so she became less successful at swallowing. We have liased with a few researchers over the years. We hope to find the funding necessary to look at the many questions around this syndrome. Meanwhile we continue surveillance for this condition every year and have had no more mass events since 2009 when 28 of 200 orphans coming into care had cleft palate syndrome. Occasionally we find babies with a pin hole cleft, rather than an extensive midline defect. While they can usually feed, their other anomalies prevent them being cared for. Many lack full flexion of the distal phalanx of fingers and toes so they cannot hang well. As they get older their increased weight accentuates the problem and they fall more often. They learn to rest their head on something to take weight off their feet but we cannot care for them. Others show craniofacial and orthodontic anomolies. 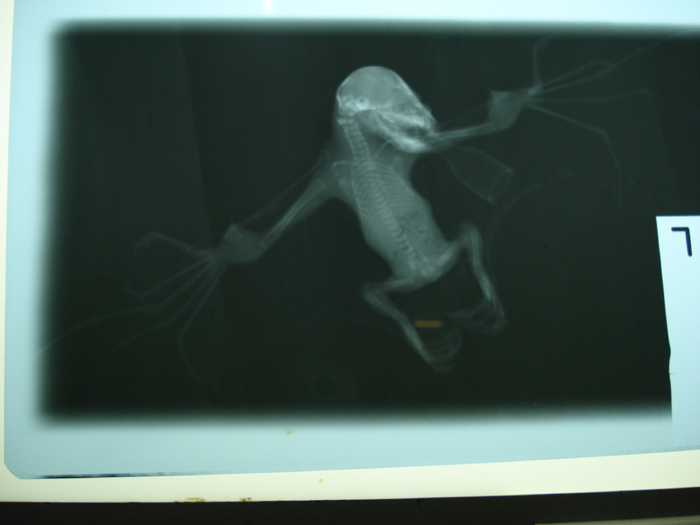 We had one Spectacled female flying-fox come into care at 3 months of age with a cleft palate but without the syndrome. She has orthodontic issues but is otherwise normal. We believe she had a plug of soft tissue in her palate defect that allowed her to suckle with her mother, but as she grew the defect widened. Her defect is not straight and midline, it had a jagged shape. The peer-reviewed and edited version of record published online 15 January 2019 www.publish.csiro.au/zo#OnlineEarly before inclusion in an issue of Journal of Zoology. This study was based here at the Bat Hospital and designed to estimate post-natal growth rates in, and develop a milk feeding chart for, infant spectacled flying-foxes, a species regarded as vulnerable. Forearm length increased by 0.55 mm and body mass by 1.5 g per day; growth rates varied by year. The study highlights that data collected by wildlife carers can be a source of otherwise hard-to-obtain information.